Sciatica, tendonitis or Vit d deficiency????? Have been experiencing buttocks and thigh pain for several months which started after a long car drive. Saw a chiro who thought it was sciatica. After several visits, no relief and sometimes it felt worse, so I stpped chiro Went to see the PA at my Dr's office and he thought sciatica as well and gave a muscle relaxant and suggest PT. Again no relief. Went back and saw my Dr for routine physical,complained about back and she thought that I was suffering from tendonitis!! Just got back some labs results and found out I am severly deficient in vit D. Dr gave me 50,000 mg of D once a week for 4 weeks and then OTC after that. Took first dose today. Could my symptoms all be from a vitamin d deficiency? And if so how quickly would relief come? Comments for Sciatica, tendonitis or Vit d deficiency????? 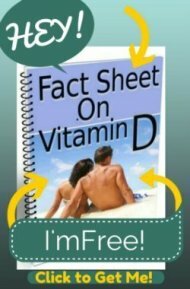 As you probably read on my Vitamin D and Pain page that you just finished reading, I tell people that ALL chronic pain IS from vitamin d deficiency until it's proven otherwise. How long this will take is anyone's guess since I don't know your level or for how long you are going to be on the vitamin d and what your vitamin d level will be when you get it retested. But it won't be likely to get better if you don't get your level up to the Normal Vitamin D Levels that are outlined on that page. But you should also be aware that I NEVER recommend that people take vitamin d alone. Nutrients are NOT drugs and they do not operate in a vacuum all by themselves. Vitamins require 'cofactors' in order to work properly and MANY people have serious Vitamin D Side Effects when taking high dose vitamin d all by itself. So, I DEFINITELY recommend that you take a professional quality multivitamin and mineral supplement such as Jigsaw Health's Essential Daily Packs or Beyond Any Multiple. Then, please also read my page on Magnesium and Vitamin D to see why you should make sure that you get 'enough' magnesium in particular with your vitamin d.
Hi. have had severe sciatic pain for 3 months, nothing helped. 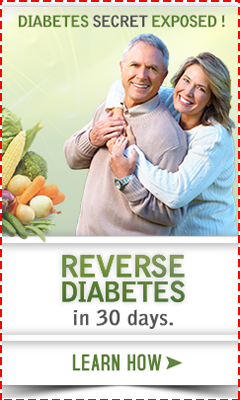 have started B12 vitamin twice daily and this is working. since this is water soluble vitamin, no side effects, you can try for a week and you might feel totally okay, like me. Thanks for your kind advice , I was thinking to take Vit d & B12 , I tried many tablets but no good result. Return to Vitamin D and Pain.